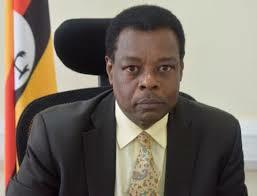 KAMPALA – The Uganda National Bureau of Standards (UNBS) has revised downwards the annual permit fees for each product for Small and Medium Enterprises (SMEs) from UGX800,000 to UGX350,000. The move is aimed at encouraging certification of more SMEs. According to a January 4 media release shared by Mr Godwin Bonge Muhwezi, the Head of Public Relations at UNBS, all products covered by compulsory standards must be certified by the Bureau and issued with its distinctive mark before they are allowed on the market. This follows the coming into force of the Use of Distinctive Mark Regulation, 2018 on January 1, 2019. Some of the products that must be certified before they are allowed on the market covered by compulsory standards include foods, drinks, electronics, cosmetics, steel products and cement, confectioneries such as bread and biscuits, apiary and mattresses, among others. Dr. Ben Manyindo, the Executive Director UNBS, said: “The new regulation is part of our consumer protection efforts to ensure that locally manufactured products comply with quality standards. This will further enhance the competitiveness and increase access for locally manufactured products to regional and international markets”. To-date UNBS has developed more than 3,000 standards of which about 1,300 are compulsory standards covered by the new regulation. Certified products undergo conformity assessments that include product testing, and auditing production systems to ensure that they meet standards for good hygienic and manufacturing practices. The company should register with UNBS. Then apply online at: https://cims.unbs.go.ug or at UNBS regional offices in Mbarara, Mbale, Gulu, or at the Head Office in Bweyogerere, Wakiso District. The company will need to pay applicable fees for product testing, auditing and submit evidence of payment to UNBS. UNBS auditors will carry out certification audits and pick samples for laboratory analysis and testing. A product will be issued with a UNBS distinctive mark once it has been found to meet the requirements of a particular standard. UNBS is also working with industry associations such as Uganda Small Scale Industries Association, Uganda Manufacturers Association, Uganda Women Entrepreneurs Association, and The Uganda Apiculture Development Organisation to build the capacity of their members to meet certification requirements. Already leaders of the private sector associations have been trained and empowered to advise their membership on certification requirements and also guide them through the certification process and requirements.